This Half kg Round Shape Pineapple Cake is Unique and Delicious One in all Occasions. Make Your Celebration Special by Ordering this Treat. 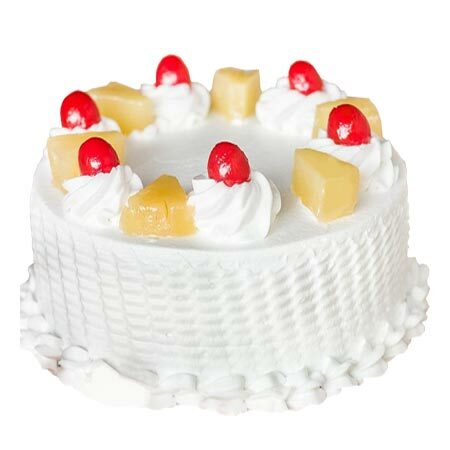 It Has a thick White Vanilla Sponge and Creamy Yummy top, Decorated with Cherries and Fresh Pineapple Crushes. This Classic Pineapple Cake is Specially Designed for Special Occasions Like Anniversary, a Birthday or a Family gathering , etc.